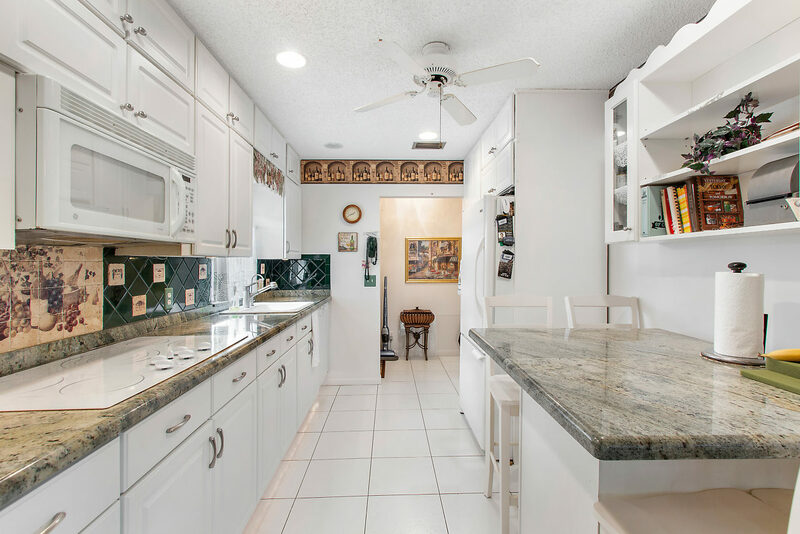 This charming villa offers 1200 sq ft of living area with bright white upgraded kitchen featuring granite countertops, custom cabinetry, stylish tile backsplash and premium appliances. Grand master suite with spacious walk-in closet, upgraded bathroom featuring rich dark wood vanity and cabinetry with granite countertop. Enclosed tile patio with stone accent walls, space for seating, dining area or storage overlooking lush garden view.